Two recent posts (part 1 and part 2) were devoted to the origin of the word bride, and it occurred to me that a quick look at a few other br-words might be of some use. Breed, brood, and bread have been more than once invoked in trying to explain the etymology of the troublesome Germanic noun. Also the verb bear is part of the magic circle, because br- may be the so-called zero grade of the root with a vowel between b and r. (To understand what the zero grade of ablaut means, compare Engl. ken, full grade, and kn-, zero grade, in know). Once I devoted an entire series to English kl-words and see no reason why br– should be less attractive. Before examining the tenuous link between bride and bread, I have to go all the way back to the food industry of the Germanic tribes. 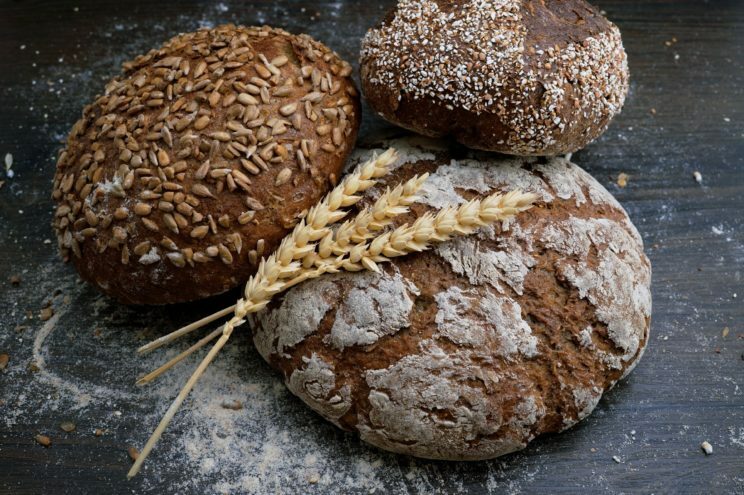 Bread seems to be an innovation, for the most ancient English name of the product we call bread was hlāf, that is, “loaf.” Most of what I’ll say about hlāf is common knowledge, but a few details may be new to our readers. Hlāf had initial h, the sound that was later lost before l, n, and r. That is why, when we deal with the etymologically obscure words beginning with l, n, and r, such that were attested relatively late, we often suspect that they once had initial h. For instance, nap “surface of cloth raised and cut smooth” surfaced in English only in the fifteenth century and had the form noppe. Since Middle Low German and Middle Dutch also had noppe (Modern German and Dutch still have the same form, though with a somewhat different meaning), it appears that English borrowed this technical term from the continent, but the earliest form of the word in those languages is also unknown. Perhaps it began with an h (or, less likely, with a k). By contrast, nap “take a short sleep” goes back to Old Engl. hnappian, and the loss of h- is obvious. In the Old English Paternoster, the phrase “give us daily bread” sounded so: “Ūrne ge-dæg-hwā-lic-an hlāf syle ūs tōdæg” (the hyphens are of course mine, added to show the boundaries between the morphemes). For comparison, here is this sentence in Gothic: “Hlaif unsarana þana sinteinana gif uns himma daga,” in Old Icelandic: “Gef oss ídag várt dagligt brauþ” (þ = th), and in Old High German: “Unsar brōt tagalihhaz gib uns hiutu.” One can see the competition between the two words: Gothic and Old English had hlaif and hlāf respectively, while Old Icelandic and Old High German used brauþ and brōt (all the forms are in the accusative). This is a lady in her etymological sense. 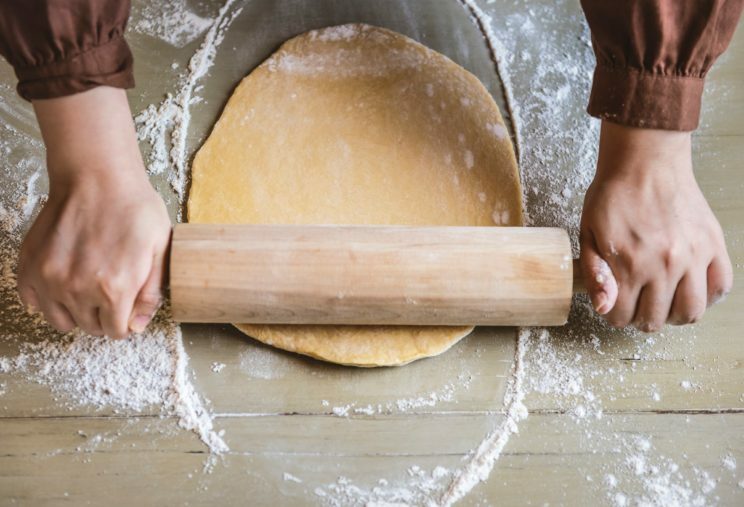 Image credit: Rolling pin, dough, hands and baker by rawpixel. CC0 via Pixabay. Old Engl. hlāf was ubiquitous. This becomes especially clear when one looks at the numerous compounds with hlāf, such as hlāf-æta [long æ], that is, “loaf eater” (= “bread eater, dependent”; those who know Russian will remember na-khleb-nik: the same meaning and nearly the same inner form), hlāf-ofn “baker’s oven,” hlāf-ræce “loaf [bread, oven] rake,” and many others. To the speakers of Modern English only three old compounds with hlāf make sense. 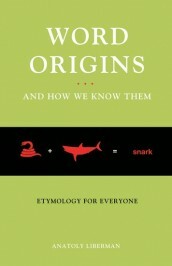 One is hlāf-ord, another is hlāf–dige” (they yielded Modern Engl. lord and lady). The third will be mentioned later. The House of Lords, our bread-wards. 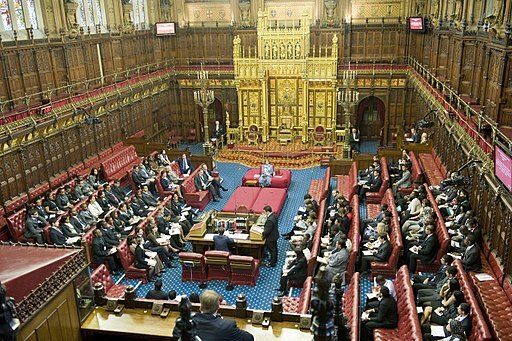 Image credit: House of Lords 2011 by UK government. OGL v.3 via Wikimedia Commons. The Lady of the Lake: certainty no longer a bread-kneader. 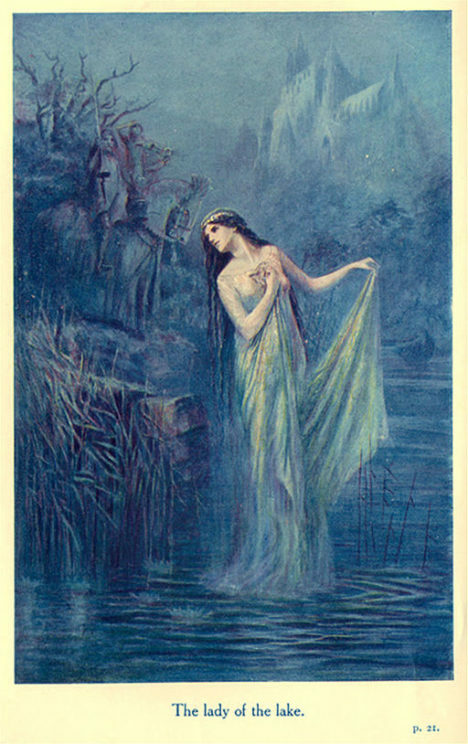 Image credit: The Lady of the Lake by Speed Lancelot by Speed Lancelot (1860-1931). Public Domain via Wikimedia Commons. As noted, a third word with hlāf in the root exists. It is Lammas, from hlāf-mæsse; mæsse in it means the same as –mas “Eucharistic service” in Christ-mas. Lammas, the feast of St. Peter in Chains (an agricultural festival celebrated on the first of August), was observed in Anglo-Saxon England by the consecration of bread made of the first ripe grain. The first ripe grain and the last sheaf left in the field are familiar objects of veneration in old societies. This is Lammas. Its connection with bread is apparent. Image credit: Freshly baked bread by Wesual Click. Public Domain via Unsplash. To the best of our knowledge, Gothic hlaifs, Old Norse hleifr, and Old High German leip were the oldest Germanic words for what we call “bread.” But the Paternoster quoted above shows that, although in some areas a cognate of bread appeared early, in Gothic it did not exist, and it is absent from the Old Saxon Heliand, a poetic retelling of the Gospels. The origin of bread remains a matter of debate. Even less is known about the origin of loaf (hlāf). Today, Engl. loaf means only “portion of bread baked in one mass.” Icelandic and German make the same distinction: hleifur versus brauð, and Laib versus Brot. Whether leb– in German Lebkuchen “gingerbread” has anything to do with the root of Laib remains unclear. Dutch, like the rest of Low (that is, northern) German and Old Saxon, has only the word related to Engl. bread. It has been suggested that hlaif-, the source of loaf and its congeners, referred to some baked product, while the etymon of bread denoted “dough.” Another hypothesis has it that hlaif- referred to unleavened bread, while the protoform of bread designated the bread raised (“brewed”) with yeast. Both ideas look moderately plausible. The origin of hlāf remains a puzzle. The similar-looking Latin noun lībum “pancake” has been offered and rejected as a cognate of the Germanic word. The names of foodstuffs travel easily from land to land, and several foreign look-alikes of Germanic hlaif– are known. The Slavic word for “bread” (Russian khleb and so forth: see na-khleb-nik above) is universally, and with good reason, believed to be a borrowing from Germanic. The Ural–Altaic and Semitic sources of hlaif– have also been suggested. The least promising formula is “borrowed from an unknown language.” If hlaif– was indeed borrowed, we need not jump to the conclusion that the speakers of early Germanic knew nothing about bread. It is enough to get acquainted with a special variety of a familiar product, in order to borrow the technology and the word. With this background information in mind, we can approach the origin of bread. Featured image credit: Sunshine, wheat, ray and plant by pragmart. Public Domian via Unspalsh. Northern low German will have Luft – air. A loaf of bread is *luftig, locker, leicht* (airy), in contrast to a flat Fladen. It swells up, suggesting a link to the tentative root for blood, *bhel-. Odem, Atem – breath is significantly linked to Odin (In my mind it is a variantion, I have nothing to back that up, though). Laib correlates with Leib – body and Leben – life and love – Liebe; Already the Proto-Germanic forms differ very little. Most interestingly, Mr Liberman, library (collecting *bodies* of work) and liberty, should be compared, too. There’s Lab (goat spit used to make cheese) and laben (rather archaic, now to eat). Lehm is clay, which may be baked. The semitic source for hlaif would be found in Bethlehem – house of bread; Although, that looks like folk etymology at various levels. Leben also serves as place determiner in the name of Gorleben and the like. Perhaps between *bhel- and *pleh2- (flat) or *pel- there was a softening of the consonant reflecting the softening of the bread. At any rate, bread is deemed rather important in Germany, so that students abroad frequently lament the lack of bread culture oversees. There’s just no good dark bread, they say. The recent comment suggesting a look at *mb words was very helpful. Not only does that suggest, to me, a possible connection from *mew- to *peh2w- (*small, little, few* in either case, but not exclusively). But also, it would maybe allow derivation of bride from Mary. I’m not sure that proposition has *merrit*. Kosta’s allusion to bride from bright, would bring up *bhle- which is, you omitted, also given for flame and quite a few other words I cannot do justice. I had supposed pride was related to bride and pre. At least Ger. Pracht was linked to *per-, too. Then, perhaps brava, bravo is related as well as brat. I’m not married to the idea, though. I’m writing this on the commute, so has to be rather haphazard. How hard would it be for me to find them? Part of my family treasure is the story of the maternal cousin who was looking for the board that allowed one to sit at the corner of the roof of the tenement. Mindful of the several dialects of Yiddish represented there, she asked, “Vo iz de brot/de bret/de broot?” Question: what does one keep in a “cupboard”?